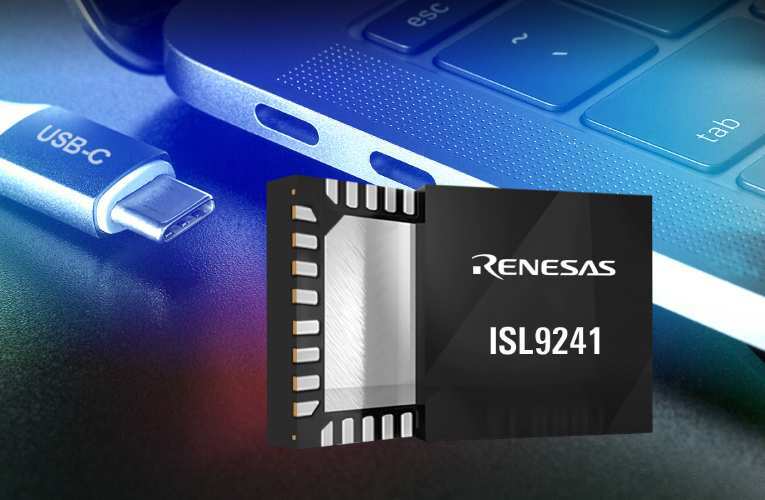 Renesas Electronics introduced a USB-C™ buck-boost battery charger to support both Narrow Voltage Direct Charging (NVDC) and Hybrid Power Buck-Boost (HPBB) charging for notebooks, ultrabooks, tablets, and power banks using the reversible USB Type-C™ connector cable. Through firmware control, the ISL9241 can switch between NVDC and HPBB modes, providing a low-cost and small solution size capable of efficiently processing a full range of power levels. It leverages Renesas’ R3 modulation technology for superior light-load efficiency and ultra-fast transient response to extend battery run-time. The charger’s reconfigurable internal registers allow the use of a smaller inductor for HPBB mode to achieve higher efficiencies across multiple power levels.